These are amazing Megz! I like the state flower theme. Love the colors. Thanks dad! I think my goal for next year will be to do all fifty states. 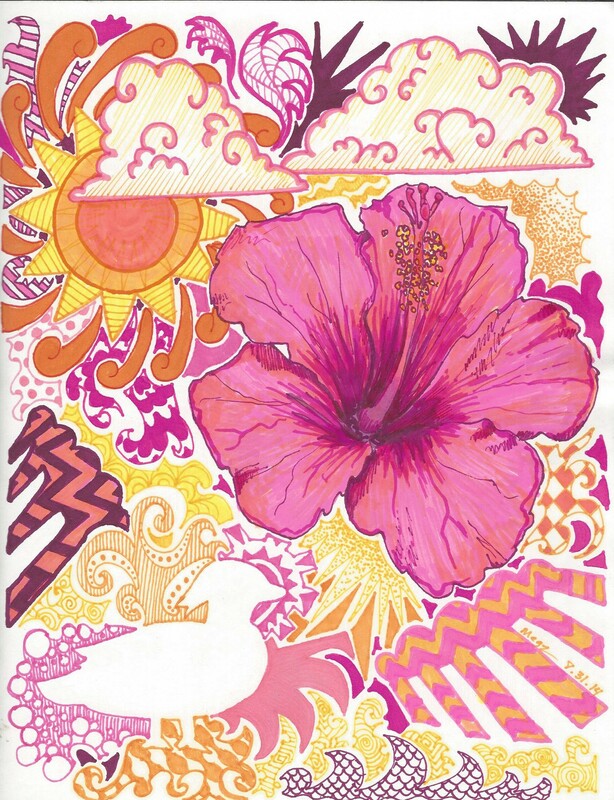 I love the colors in the Hawaiian Doodle. The hibiscus is beautiful. the negative space Wood Duck is a great idea. There are a lot of cool ducks out there. 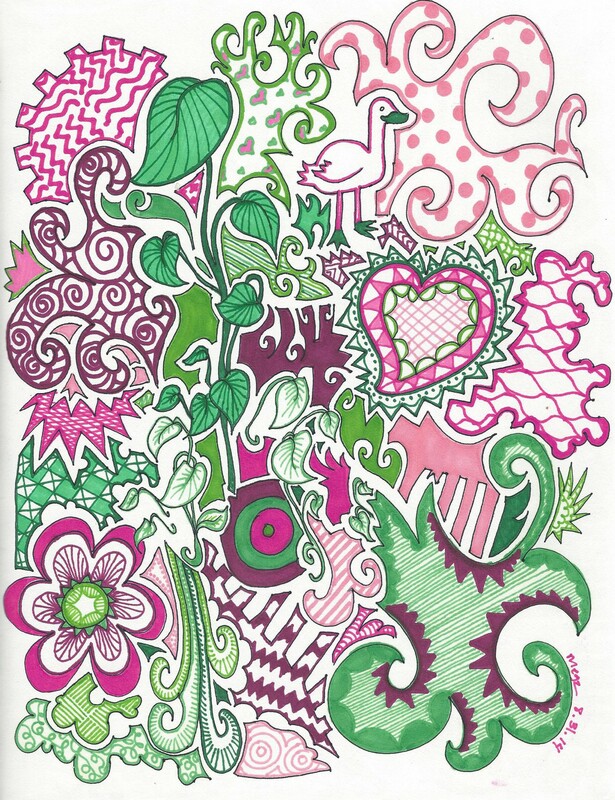 Pink purples and greens are very nice. I’m trying to follow with my beagle account. Thanks for the complement! I wish I had the eye to take great photos, maybe one day, but for now I must simply doodle on.